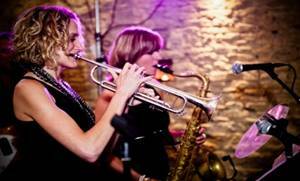 8/9 Piece – Female/Male Vocals, Sax, 2x trumpets, Trombone, Guitar, Keyboard, Bass and Drums. All of the above includes recorded music between and after sets, backing vocals and some serious dance moves!! For more musicians or a different variation, please get in touch!! If it’s afternoon tea on the lawn, a drinks reception, or walking down the aisle to a trumpet or sax solo, these guys can provide up to a 5 piece band, performing classical to contemporary songs! 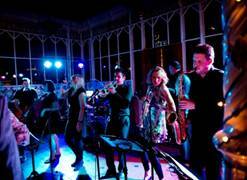 Our 4, 5 or 6 piece band can be the perfect accompaniment to your drinks reception, performing either tracks from Rat Pack , jazz standards, relaxing contemporary songs or some 'live lounge' classic hits arranged in a smooth style. 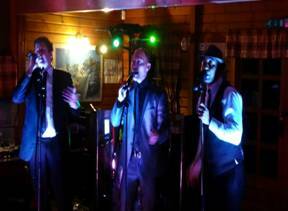 If it is a solo singer at dinner to relaxing backing tracks, or three guys singing the best from rat pack to up to date hits, we have some of the best voices in the business. 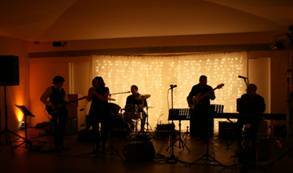 By booking Bare Groove for your special day, we can cater for all your musical needs. We know what is involved in wedding preparation, and that is why our aim is to give you a totally stress free experience. Sit down with you to discuss every part of your day where music is involved. Liaise with the venue manager, other suppliers and conduct a venue visit (if appropriate). Communicate with you through your planning stages until the big day. On the day, we will arrive in plenty of time to set up, sound check, get changed into our smart attire and deliver at least two hours of live music from our professional band, and a DJ set to top off your perfect day. If you want to walk down the aisle in style to your special song or relax with your guests whilst sipping champagne, we can provide a pianist, acoustic solo/duo or swing/background band for your ceremony and drinks reception. From jazz, classical or just relaxing songs of your choice, we can provide a small PA system for background music to create the right ambience whilst you dine. Then come the speeches, and no one can hear you!! We have wireless microphones available so that the people at the back of the room don’t heckle!! It’s your choice if you want to have a first dance – for some people it can be nerve racking experience and they simply wish to get the party started. If you have a song that means a lot to you, let us know what it is and the band could play it for you (and if not, a recording of the track can be played through our system). Then, it is over 2 hours of live music, with our set lists created to ensure that everyone can have a dance. We guarantee some lively dancing and sore feet in the morning!! Why stop there!!! 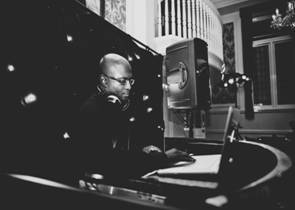 After the band, the party doesn’t stop as our DJ can be available to play into the small hours to keep everyone dancing!! From current hits, 80’s classics to reggae or RnB, with over 40,000 tracks, simply make your requests. If you are having a themed evening, Christmas or a launch party, however big or small your event is we can accommodate it. Bare Groove is self- contained with all musical equipment, lighting rigs, sound engineer and £5 million Public Liability Insurance and PAT certifications. A DJ is also available to start the evening off and carry on into the early hours. For larger events (200 persons +), we have close links with recommended Audio/Visual and lighting companies who have everything you will need at competitive rates. We will visit the venue (if practicable) and communicate with all other suppliers before and during the event. Our comprehensive service starts from our first phone call - we will liaise with organisers, attend required site meetings and be flexible and accommodating. 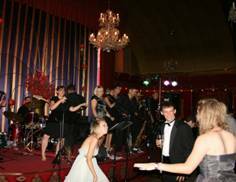 Our aim is to deliver a high quality show to give your client’s, guests or colleagues an amazing evening of entertainment. Whether it is your 18th or 80th birthday, from Motown classics to up to date hits, Bare Groove’s wide repertoire will please everyone. We will liaise with your venue, take your music requests (recorded music/DJ playlist) and make sure you have sore feet the next day!!! Contact us if you are having a themed event and we can dress appropriately for occasion. 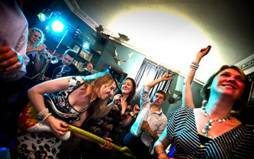 Bare Groove has previously performed at festivals, pubs, hotels and clubs to help raise money for worthy causes. These charities have included Help for Heroes, The Retail Trust, MacMillan Nurses, Samaritans and The Child's i Foundation. If you are an organisation who would like Bare Groove to be part of your fundraiser, please get in touch. 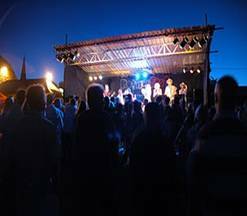 Our standard setup incorporates all musical instruments, professional mixer with front of house powered speakers, floor monitors, microphones, amplifiers and lighting for stage and dance floor. Get in touch with us to create a bespoke package for your event.